Love music concerts? Love picnics in the park? Love FREE events? Then listen up, because the awesome folks from Concerts in the Park are bringing you another one of their free concerts this weekend! 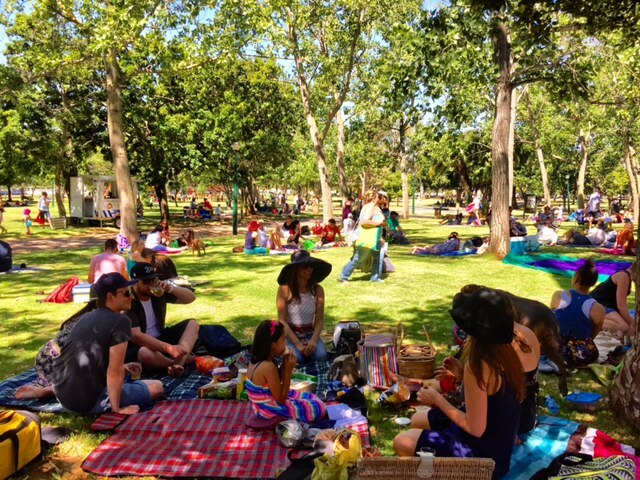 On Sunday, 22 January 2017 you can gather family & friends (and even your four-legged man’s best friend) to relax under the trees while listening to top SA musical talent. Former front man and lead singer of popular SA band, Just Jinjer, but today also a successful solo artist in his own right. Cape Town based, four-piece symphonic indie pop band comprising of Nicholas Preen, Kyle Davis and twins Julia and Tessa Johnson. Blues guitarist extraordinaire who played with the Blues Broers for 21 years while also performing with SA greats such as Arno Carstens and Koos Kombuis as well as international artists such as Finlay Quay, R.E.M, Simple Minds and has supported the Rolling Stones. Gates to the concert area open at 4pm, so get there early to ensure that you get a good spot. Then be sure to pack a picnic basket with snacks and drinks to enjoy, a blanket, some sunscreen and a hat, and you’re good to go. All the action takes place at De Waal Park in Upper Orange Road, Gardens, Cape Town, and for more details you can also check out the Facebook event page over here.